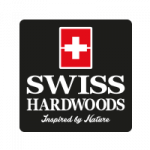 Swiss Hardwoods- Dark Oak is a very Definitive choice. With its smooth and natural wood grain and bevelled edging, this oak lay engineered wood floor is highly characteristic 189mm wide board, single strip European Oak creates an illusion of a larger room. At Swiss Hardwoods we believe beauty is natural. We enhance our floors natural beauty by using Rubio Monocoat® Oils for our surface treatments rather than use lacquers. An oil finished floor provides protection from both the inside and outside. The advantages of oiled floors over lacquered floors are extensive. For any scratches that appear, unlike lacquered floors, with an oiled floor there's no need to sand and refinish the entire floor. A "spot repair" at the point where the scratch is and a small amount of oil is applied to the affected area. Very quick and easy to repair. With oiled floors you can feel the grain of the wood, sensual and karmic to the soul. Lacquered floors are built up by layers of acrylic, essentially creating a barrier between you and your flooring.